Lord Levy says he and the prime minister are "like brothers"
Born in rundown Hackney, east London, to immigrant parents of modest means, Lord Levy now lives in a mansion in Totteridge, north London, complete with swimming pool and tennis courts. But Michael Abraham Levy, now 61, he has never forgotten his working-class Jewish roots - doing much charity work - or a lifelong commitment to the Labour Party. Educated at Fleetwood primary school, where he was head boy, and Hackney Downs grammar school, he went on to become an accountant. 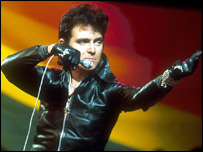 But he made his money as an impresario in the 1960s and 1970s, managing singers including Alvin Stardust and Chris Rea, and as the founder of Magnet Records who gave the public Bad Manners. Having sold the company to Warner Bros for £10m, he met Tony Blair at an Israeli diplomatic dinner in 1994, the year he became Labour leader. The two soon became tennis partners, and Mr Blair made him a life peer - Baron Levy of Mill Hill - after Labour's landslide election victory in 1997. Lord Levy has told David Osler, the author of Labour Party plc: New Labour as a Party of Business, he and Mr Blair, are "like brothers". In 2000, the prime minister made Lord Levy his personal envoy to the Middle East, with an office inside the Foreign and Commonwealth Office. The same year, the multi-millionaire came under fire when it was revealed he had only paid £5,000 in tax during the financial year 1998-99 - equivalent to that paid on a salary of £21,000. Lord Levy told BBC News: "Over the years I have paid many millions of tax. And, if you average it, each year it comes to many hundreds of thousands of pounds. "In that particular year, I was giving my time to the Labour Party and the voluntary sector, and I just lived off of capital." Lord Levy also hit the headlines as the Labour Party's chief fundraiser - or, as the press dubbed him, "Lord Cashpoint". Many of those he got to donate were not Labour supporters and they were often highly controversial. It was Lord Levy who secured the £1m donation to Labour from Formula One millionaire Bernie Ecclestone. The money was repaid by the party to avoid accusations that it had been used to "buy" policies. Dr Henry Drucker, whose company Oxford Philanthropic was brought in by the Labour Party to advise on gaining large corporate donations, told the Guardian about a meeting at Lord Levy's mansion. Apologising for not offering him a cup of coffee, Lord Levy had said: "I'm afraid you'll have to do without as none of the servants are about, and I don't know how to work the machine myself," Dr Drucker told the Guardian. But potential donors received more lavish hospitality. Mr Osler told BBC News how Lord Levy used "charm and schmooze" to secure donations. 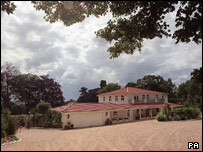 "Lord Levy is famously a very good host. He will invite people round for dinner. "He will invite people to his home and maybe invite them to play tennis on his private tennis court and say, 'Well, Tony might just turn up'. "Tony does turn up, they play a round of tennis, Tony leaves. "Twenty minutes later, he will be sweet-talking them into making a donation, and many people are only too happy to cough up." Not all visitors to his home are as amenable, though. 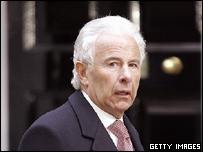 In 2003, Lord Levy was hit over the head with a shovel and handcuffed by burglars who escaped with cash and jewellery. Lord Levy has said he will stop fundraising for Labour when Tony Blair goes. The peer, who is believed to have arranged the unpublicised loans to Labour before the last general election which led on to the cash-for-honours probe, now thinks political parties should be funded by the state. He has been arrested and interviewed by police twice during the current investigation, but has consistently and firmly denied any wrong-doing. Lord Levy has also said that media reporting of leaks of the police investigation has presented a "prejudiced and distorted" picture. He and his wife Gilda have a son, Daniel, who used to work for former Israeli justice minister Yossi Beilin, and a daughter.